This manual will help you configure your Fanvil phone for use with Freedom, our cloud-hosted PBX. 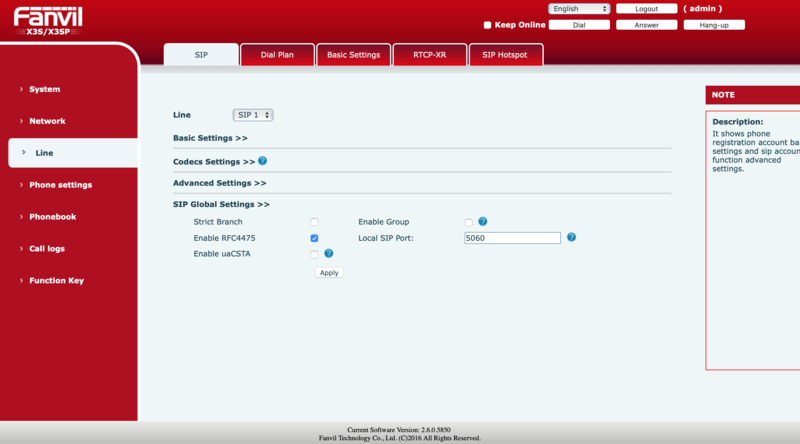 The settings below refer specifically to the Fanvil X3S and X3P. 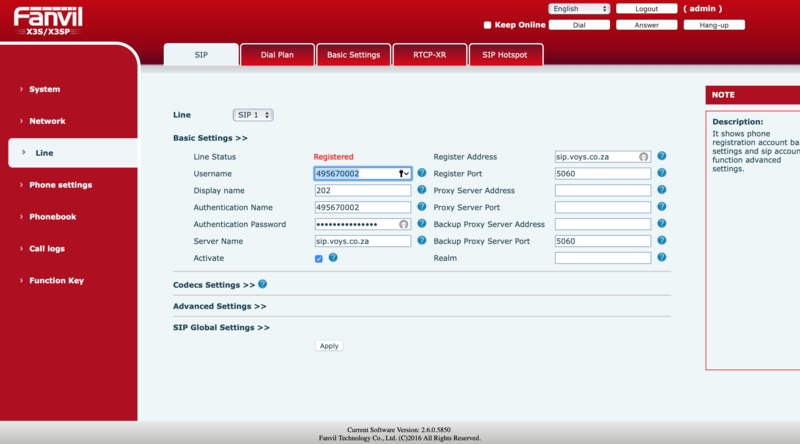 Locate the IP address of the device by pressing the "OK" button on Fanvil X3SP or alternatively pressing the soft menu button "i" or by long-pressing button "2" on the Fanvil X3P. Once the Line Status changes to “Registered”, you’re set.